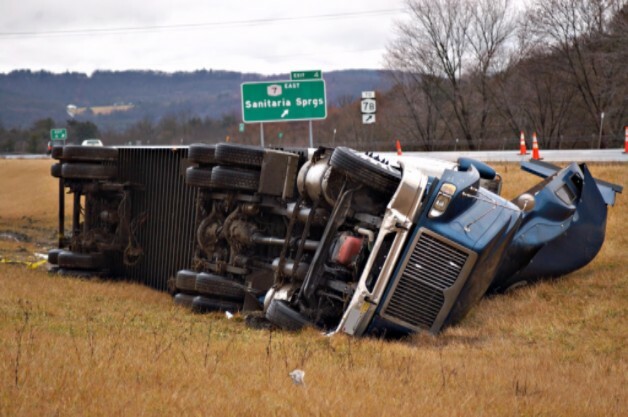 Do Commercial Truck Drivers Compromise Highway Safety? You are here: Home / Truck Accidents / Do Semi-Trucks Increase Danger on America’s Highways and Interstates? Do Semi-Trucks Increase Danger on America’s Highways and Interstates? If you’re like me, every time a huge semi-truck pulls up beside you on the road, your heart beats a little faster and you begin to panic a little. No matter the size of your vehicle, it can’t compare to the mammoth tractor-trailers that roam our roads, highways and interstate. While commercial truck driving is an important part of our economy and how you’re able to get that gallon of milk at the grocery store for so cheap, they also pose a serious danger to you and your family. In 2013, an estimated 3,906 of the 44,868 fatal accidents involved semi-trucks, according to NHTSA. This equates to approximately 8.7% of all accidents. Tractor-trailers, big-rigs, 18-wheelers, semi trucks—whatever you choose to call them, commercial trucks are all intimidating when driving next to them an average car. Unrealistic expectations of the truck driver’s schedules. If you or a loved one have been injured or killed by a large truck, you may be entitled to compensation. Hiring an experienced attorney to help you through this process is recommended. Meanwhile, practice extreme caution when driving around these big rigs by not following closely and avoiding their blind spots.